Whether you will have a house filled with guests and relatives, or a quiet couple of days off of work, the opportunity to get out of the house and explore local shopping destinations is a winning idea! 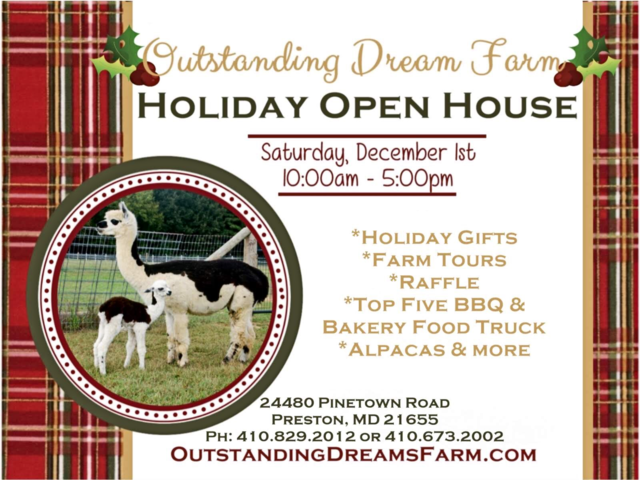 Our open house which takes place on December 1st, is the perfect start to your holiday fun and the opportunity to select truly unique and memorable gifts. 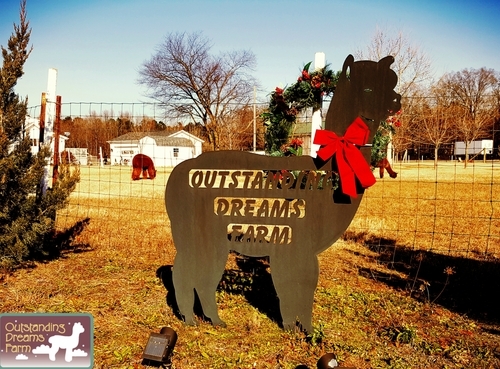 Products crafted of luxurious alpaca fiber are a treat for anyone - including you! 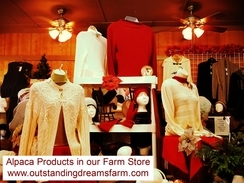 - and from accessories to socks and blankets to yarn, we have it all here in our gift shop on the farm. 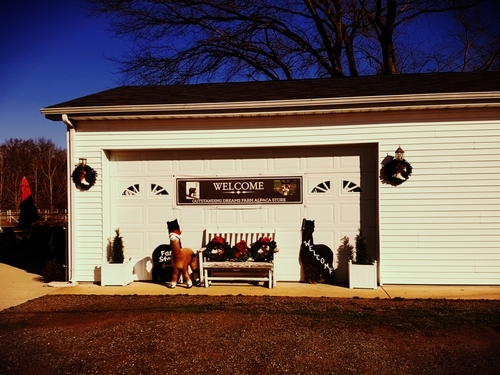 Take a leisurely drive out to our farm located in Caroline County, just a short distance from Denton, Easton, Federalsburg and Cambridge. Stop to visit our friendly alpacas and chat with Phil about the animals and learn more about the farm. 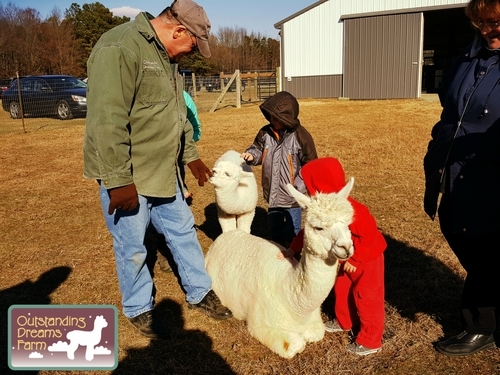 Once you enter the Farm Store, we encourage our guests to enjoy touching and feeling the softness of the alpaca fiber in the many products offered. Available in a wide range of choices is our alpaca yarn, made and processed from the fleece of our own animals right here on the farm. Alpaca socks are one of the best gifts you can give. The exceptional warmth of footwear made from the soft fleece is a real treat for the feet! Don’t forget your camera so you can take some fun family photos with the alpacas.